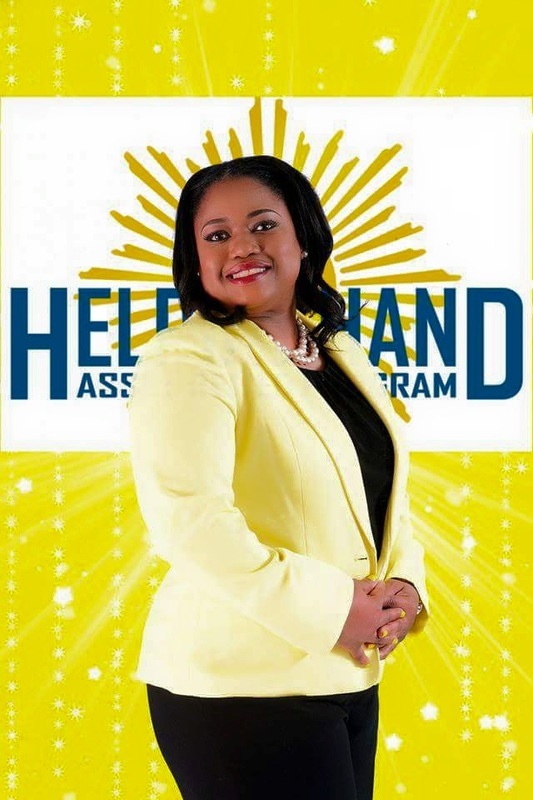 Joyce Ann Franklin Smith is the founder and executive director of Helping Hand Asset Relief Program (HHARP). She unfortunately experienced a hardship when her brother passed away at the age of 29 from a massive heart attack. We would like to think that life is forever, however, he did not expect to leave this earth too soon. He also did not take out a life insurance policy or have an advance directive in place. All because in his mind, “he had time." Joyce then had to plan, coordinate, and raise money to pay for her brother's funeral and burial expenses. This left her feeling overwhelmed, stressed, and frustrated. She knew then that she did not want anyone else to go through what she experienced as a result of not having enough funds. It is her ministry to help people in similar situations avoid many of the financial set backs of losing an uninsured loved one. Often times, these situations can leave you feeling overwhelmed and unable to grieve. She thanks God for family & friends who came to her aid during a difficult time. However, it would have been comforting to know that there are programs that would have offered a Helping Hand. Her ministry includes reaching out to the community and stressing the importance of having life insurance, advance directive and pre-planning needs in place. Without these tools, it can leave a family financially and emotionally devastated! However, if you find yourself in this situation, it is comforting to know there is now a program available to assist with bereavement during your time of need. The founder received her Bachelor of Science Degree in Organizational Leadership/Management from Union University. She recently received a Master of Arts (M.A)-HR Management and Management & Leadership from Webster University. Besides staying active and involved with community projects here in Memphis Metro and Shelby County, she is also a licensed nail technician. She held a real estate license as an Affiliate Broker, however, she has since put her real estate license in retirement as she continues to focus on improving the quality of her life and community. She recently received her insurance license as a life producer in the State of Tennessee. She is passionate about serving and helping the needs of the people. She understands the struggle of the working poor. She too continues to fight against poverty and social economic injustices. She also wants the community to understand that in life, we will encounter difficult moments, unpleasant situations and people. However, it is important to "Embrace Life" in the good and bad times, and know that "The Sun Will Shine Again". Her proudest accomplishment is becoming the first sibling from her mother to graduate from college and earn a Bachelor’s Degree and recently a Masters Degree! In her words “Reversing a Generational Curse”. She has learned that in this life, one needs to continually improve, think, and grow as individuals, reflecting positive changes within ourselves and in the community. In her spare time, which is rare, she enjoys playing golf, reading, writing and spending time with her family. Please add Author to the list of accomplishments! She recently published a book entitled "Discovering Purpose in a Crisis". HHARP disclaimer funds are only paid when resources are available and will not cover the entire cost of the funeral expense. HHARP is not intended as a substitute for life insurance.